Also serving communities of Selinsgrove. There are 10 Assisted Living Facilities in the Northumberland area, with 3 in Northumberland and 7 nearby. To help you with your search, browse the 20 reviews below for assisted living facilities in Northumberland. On average, consumers rate assisted living in Northumberland 2.5 out of 5 stars. Better rated regions include Lewisburg with an average rating of 3.7 out of 5 stars. Caring.com has helped thousands of families find high-quality senior care. To speak with one of our Family Advisors about assisted living options and costs in Northumberland, call (855) 863-8283. There are about 92,000 people in Northumberland County, Pennsylvania, 21 percent of whom are 65 and older. These residents can visit nearby Shikellamy State Park to enjoy the fresh mountain air or check out the historical home of theologist and scientist Joseph Priestly, who first identified oxygen. To accommodate seniors seeking assisted living services in Northumberland County, there are nine facilities from which to choose. 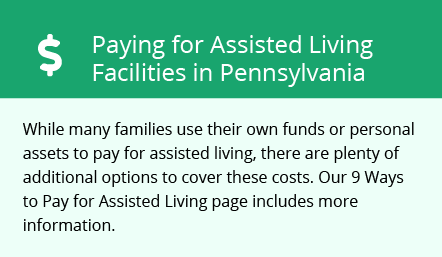 In Pennsylvania, Assisted Living Facilities (ALFs) are called either personal care homes (PCHs) or assisted living residences (ALRs), depending on the level of care provided. Assisted living residences (ALRs) are licensed by the Division of Licensing at the state Department of Aging's Office of Long-Term Living, while personal care homes are licensed by the Department of Public Welfare. The cost of living in Northumberland is 7 percent lower than the average for both Pennsylvania and the U.S., meaning seniors may be able to stretch their budgets further than in many other U.S. cities. The lower cost of living is mainly due to cheaper transportation and housing. On a scale from 0 to 100 (100 is best), Northumberland County rates 42.9 for violent crime — quite a bit higher than the U.S. average of 31.1. For property crime, the county rates 39.8, on par with the U.S. average of 38.1. Seniors should be aware of their surroundings when running errands or going to appointments. On a similar scale, Northumberland County air quality rates a 66, compared to the national average of 58, based on EPA measures of hazardous air pollutants. Seniors with asthma and other respiratory conditions may find breathing harder on certain days. Northumberland has no facilities from which to choose in the event of a medical emergency or illness, with the nearest major hospital located in Sunbury — Sunbury Community Hospital. Pennsylvania doesn't tax income from Social Security or from a retirement account such as a 401(k) or an IRA, and the state exempts pension income for those age 60 or older. Property tax rates are somewhat higher than the U.S. average, but sales tax is relatively low, with the statewide rate at 6 percent. On average, Northumberland has 184 sunny days per year, which is significantly below the national average of 205 sunny days. Summer weather brings average highs of about 84 degrees in July, while winter lows in January average 19 degrees. Seniors sensitive to the cold may find winters a bit tough. Assisted Living costs in Northumberland start around $0 per month on average, while the nationwide average cost of assisted living is $4,000 per month, according to the latest figures from Genworth’s Cost of Care Survey. It’s important to note that assisted living rates in Northumberland and the surrounding suburbs can vary widely based on factors such as location, the level of care needed, apartment size and the types of amenities offered at each community. Pennsylvania seniors with disabilities may qualify for an Independence or OBRA Waiver. Those with Social Security Income living in personal care homes may qualify for additional assistance on their monthly payments. Northumberland and the surrounding area are home to numerous government agencies and non-profit organizations offering help for seniors searching for or currently residing in an assisted living community. These organizations can also provide assistance in a number of other eldercare services such as geriatric care management, elder law advice, estate planning, finding home care and health and wellness programs. To see a list of free assisted living resources in Northumberland, please visit our Assisted Living in Pennsylvania page. Northumberland-area assisted living communities must adhere to the comprehensive set of state laws and regulations that all assisted living communities in Pennsylvania are required to follow. Visit our Assisted Living in Pennsylvania page for more information about these laws.